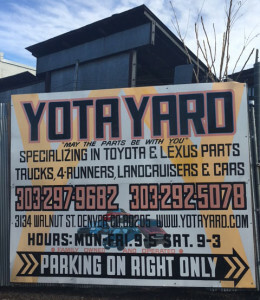 The Yota Yard is a salvage yard, owned by Nancy Wales, which specializes in Toyota trucks and 4Runners from 1974 – Present, but also carries a variety of other Toyota and Lexus vehicles, such as Land Cruisers, vans, and cars. New and used replacement parts for late-model Volvo and Saab automobiles. Rust-Free Parts – All parts are inspected and come with a 6-month warranty. Prices well below what you would have to pay at a dealership. Inventory is constantly being refreshed, with vehicles and parts arriving daily. Used Volvos are carefully tested and taken apart. Good parts are cleaned, checked, & added to our inventory. All operations are indoors. Our used Volvo parts selection is a gold mine for both owners doing their own work and repair shops trying to keep their customers happy. Established in 1973, Jack’s Auto Parts was created to provide customers with good quality auto parts at a great price. Jack’s Auto Parts is family owned and operated. We have over 2500 cars in stock with Model Years covering from 1960 to present. Every time you buy from Tom’s Foreign Auto Parts you’re getting our industry leading no hassle guarantee, a quality part, and service you can count on every single time you order a used part from us. We’ve created a no hassle online parts buying experience so you won’t have to go out and hunt down used auto parts at the local junk yard. Just sit back and browse our inventory of over 40,000 new and used auto parts online in the comfort of your own home. Buy a quality recycled auto part from Tom’s Foreign Auto Parts today and save big time on your next repair bill! We offer an industry leading 6 month money back guarantee standard and even offer optional lifetime guarantees. The Tom’s Foreign Auto Parts staff is here to get you a quality OEM part at a price you can afford. Start shopping for used auto parts today by selecting the make of your car above. It is interesting we call the Auto Recycling industry Auto Wrecking. In reality nothing gets wrecked during the process of gently extracting green and reusable car parts from cars that are considered no longer fit to be driven. The car may be a 1960s model or a 2016 model and it goes thru the same process when it is being recycled. Nearly 95% of car parts are removed from cars and the rest ends up in land fills. We sell high quality and reliable used auto parts in the Eugene/Springfield Metro Area. Green parts are used automotive parts that help keep our plant clean by reducing large quantities of chemical toxic wastes from being emitted into our atmosphere. Your OEM Subaru auto wreckers & recyclers. 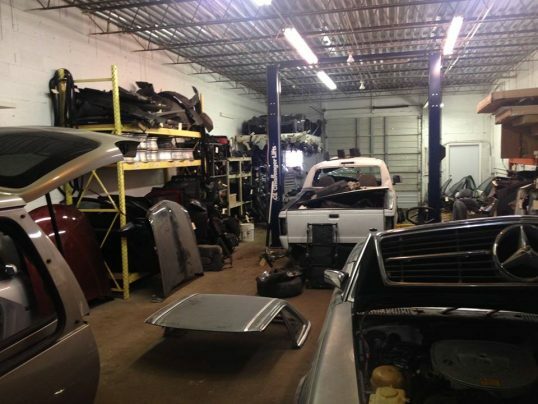 We search our junkyards & pull the part for you, for free. With our computerized inventory for dismantlers, we can quote pricing & availability with one simple phone call. Recycling body to mechanical, we salvage almost anything. Buy discounted & cheap from our scrap yard. Save big by avoiding dealer store pricing!